If you didn’t feel you had a flair for lyrics and/or music already, you wouldn’t have entered the American Song Festival and wouldn’t be reading this now. I don’t believe you can get talent from a book but I do know that there are a lot of tricks of the trade that can help that talent blossom a lot sooner than it would in the “school of hard knocks.” I hope this book will help you in the following ways. 1. Show you some options that may not have occurred to you. Maybe you never knew anyone who wrote songs, or if you did, you never asked them how they did it. 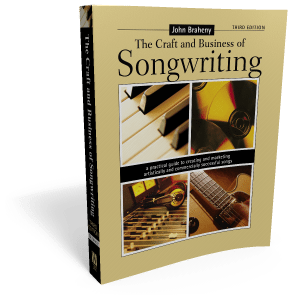 In over 400 interviews that my partner, Len Chandler, and I have had with music industry people, including many hit songwriters and producers, we’ve discovered that there are lots of successful ways to write great songs. 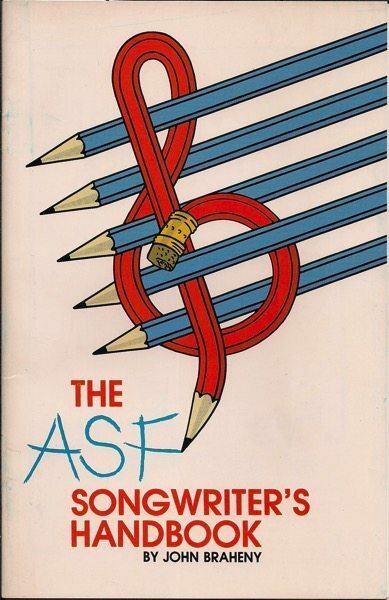 New writers tend to either want to have a simple ABC formula for writing a successful song or to only trust their instincts and not want to mess with their process by learning anything about their craft from anyone else. Both are a big mistake because they’re self-limiting. Creativity and craft are both essential ingredients in successful songs. 2. Give you some basic principles to go by. I hate to talk in terms of rules because if you’re creative you’ll be breaking them and you must be creative. For everything I say in this booklet that may remotely sound like a rule, there is an exception somewhere, either because an established writer/artist was commercially powerful enough to get away with poor craftsmanship or because the writer had the craftsmanship to violate one rule in favor of another rule of greater importance, to fulfill the needs of a song. It seems like a good rule, for example, never to precede the first chorus by three verses, until you look at Don Schlitz’s “The Gambler” (a hit for Kenny Rogers) or Henley & Frey’s “Lyin’ Eyes” (a hit for the Eagles). Breaking the rule works in these songs because the listener is pro-pelled forward so relentlessly by the strong visual imagery and the quickly unfolding story that it would be a mistake to have the chorus earlier. The need of the song is to keep the listener interested and it’s accomplished brilliantly in both these songs.